Indonesia is struggling to contain a prolonged outbreak of measles in poverty-stricken Papua Province that has killed dozens of children. 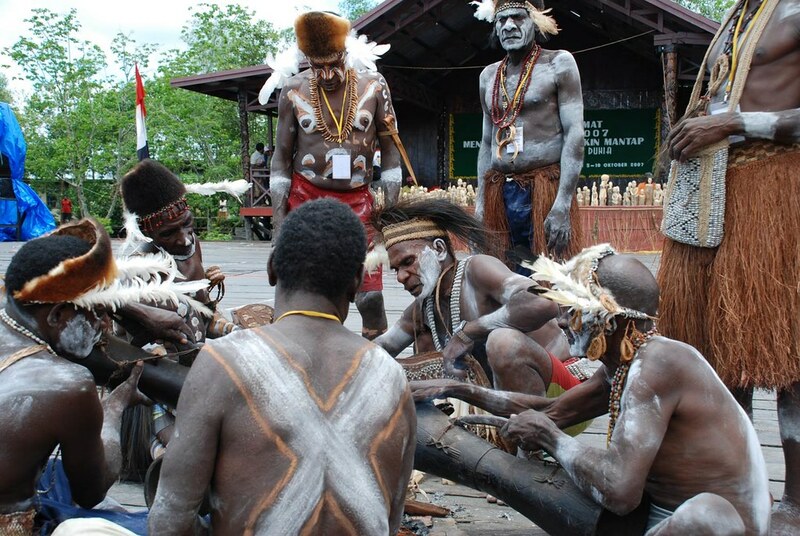 Dr Stefanus Lange at a government hospital in Papua’s Asmat district said cases were first detected in September but poor access to rural communities, insufficient personnel and the mobility of Papuans had hindered treatment and vaccination efforts. Lange said there had been 36 victims in Pulau Tiga sub-district and 22 in Agats, capital of Asmat district. He said the number was expected to rise. Papua military spokesman Muhammad Aidi said: “The region is disconnected from other parts of Papua because of a lack of infrastructure. “We don’t know for sure yet whether the malnutrition was caused by lack of food or by the parent’s lack of knowledge regarding healthy food,” the military spokesman said. The crisis underscores a lack of accessible medical care in the western half of the giant island of Nee Guinea, which constitutes around 25 per cent of Indonesia’s land mass but has only about 5 per cent of its population. The provincial health authorities said they had sent 800 vials of measles vaccine to Asmat. Provincial infectious disease buster Dr Aaron Rumainum said 300 vials were on their way and the regent of Asmat had deployed teams to four districts. Ethnically distinct Papua and neighbouring West Papua are the poorest provinces in Indonesia and home to an ongoing independence movement and armed rebellion. Indonesia President Joko Widodo vowed in 2014 to improve Papuan infrastructure and services and ease restrictions on aid groups and international journalists. But media access to the impoverished provinces remains heavily restricted, meaning government accounts of events cannot be verify. The sources on the measles story are all official. Hospitals data said 568 people had been treated for measles since September and 175 required hospital treatment. A team of more than 50 doctors and paramedics from the Indonesian military reportedly arrived in the province to address the crisis. Papua was transferred from Dutch to Indonesian rule in 1963. It was incorporated into Indonesia in 1969 following a UN-sponsored vote by tribal leaders that has been dismissed as a fix. In the so-called Act of Free Choice, the only voters were 1,063 people picked by the armed forces and compelled to vote in favour of Indonesian annexation.